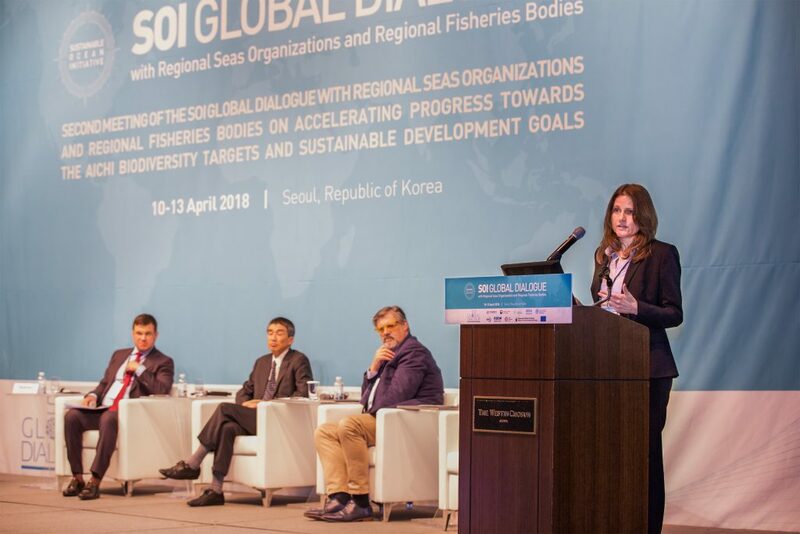 From 10-13 April 2018, representatives from Regional Seas Organizations (RSOs) and Regional Fisheries Bodies (RFBs) gathered in Seoul, South Korea, along with relevant UN organisations and international experts, to discuss how to accelerate progress towards the Aichi Biodiversity Targets and Sustainable Development Goals. This global dialogue, the second such event convened by the Sustainable Ocean Initiative (SOI) under the auspices of the Convention on Biological Diversity (CBD), focused on the theme “Unlocking the potential for transformational change towards sustainability”. Around 100 participants took part in a lively exchange on recent progress towards improved regional cooperation, while working sessions saw the development of visions and pathways for advancing collaboration and action to address critical ocean challenges. The Partnership for Regional Ocean Governance (PROG) took an active role in this important event, participating in the working groups and presenting the work of the PROG. Barbara Neumann (IASS) presented the PROG’s ongoing activities to the plenary and introduced the PROG “Marine Regions Forum”, while during the Partnership Networking Café Glen Wright (IDDRI) and Kristina Gjerde (IUCN) informally exchanged information and ideas on the PROG’s work with regional experts and stakeholders. 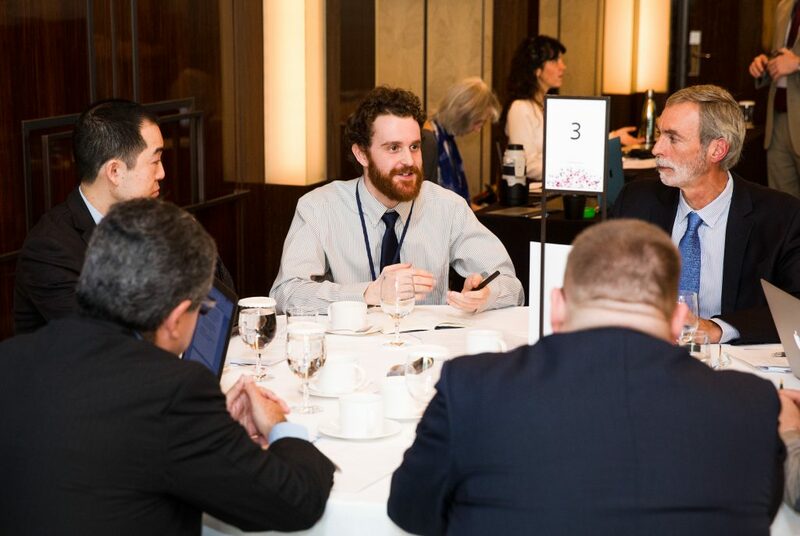 The Marine Regions Forum will provide an informal and engaging setting for collegial exchange, bringing together key regional actors in an effort to build collaboration across sectors and boundaries. The Forum is a research-driven, transdisciplinary initiative that seeks to develop and exchange knowledge and solutions, thereby enhancing the contribution of regional ocean governance to the international ocean agenda. The PROG partners IASS, IDDRI and TMG – Think Tank for Sustainability are working with the German Government, the European Commission and renowned international experts to establish the Marine Regions Forum. Early expert involvement will be key to ensuring complementarity with existing initiatives such as the SOI Global Dialogue, and the partners are currently in the early stages of the consultation process. The first PROG Marine Regions Forum will be held in late 2019 in Berlin.